I used to be a tour guide at the zoo back when we lived in Adelaide. 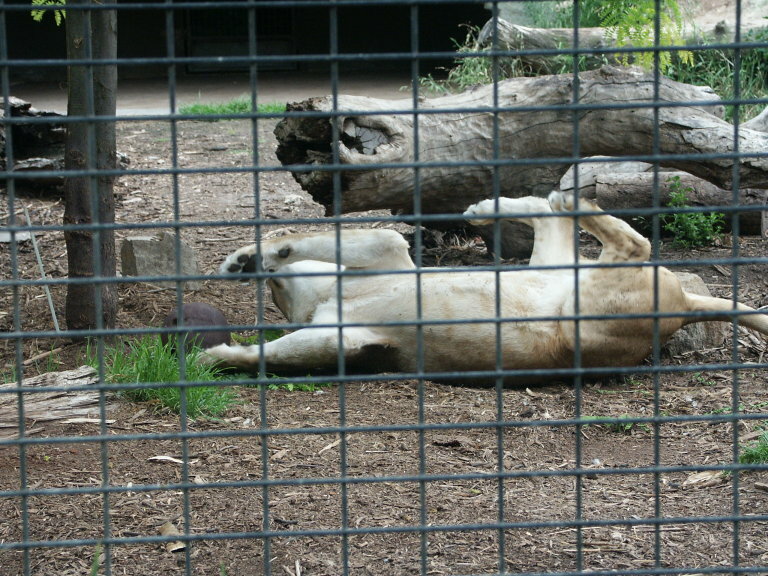 Adelaide Zoo has many volunteer programs going on and one of them is called BEAZA – Behavioural Enrichment for Adelaide Zoo Animals. One Sunday we were lucky enough to be there when the Lions were presented with an interesting toy. Can anyone tell what it is? I left the images bigger than usual so you’ll have to click on the thumbnails for a better view. 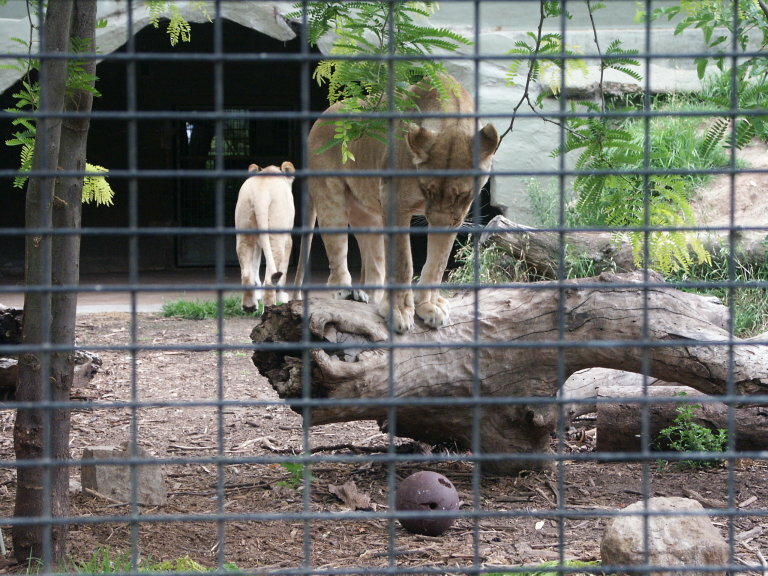 Note that this enclosure has since been demolished and the Lions are in a new enclosure with a lot less unpleasant looking security arrangements. 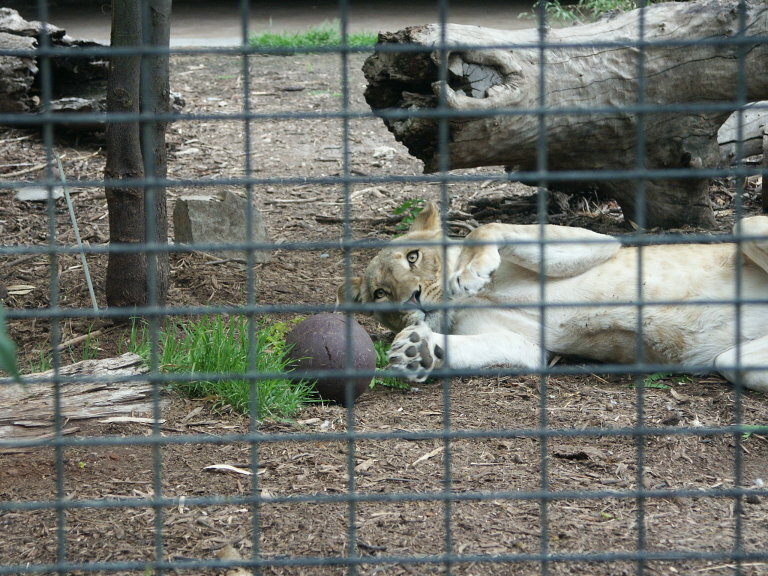 And yes, the item given to the Lions was rather the worse for wear when it was retrieved. You can see some of the clawmarks in the photos! They had a lot of fun with it. 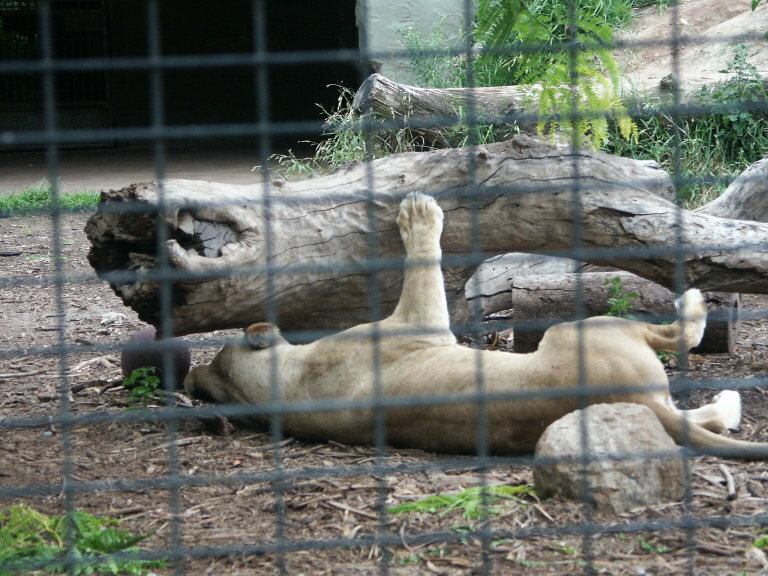 I miss my zoo time. We used to be there at least once a week. Now I haven’t been to a zoo in months – all the zoos nearby are quite a drive away. I’ve been going through a lot of the photo albums lately.. so many memories. Now Adelaide Zoo are set to get Pandas in 2009. We’ll have to go back to see that. We don’t have a zoo near us either (that I know of) although we did go to London Zoo when we were there earlier this year. The kids loved it. M&M is begging me to take her to see the Tigers when we go to the Gold Coast next week. You’re not anywhere near Australia Zoo? Beerwah? 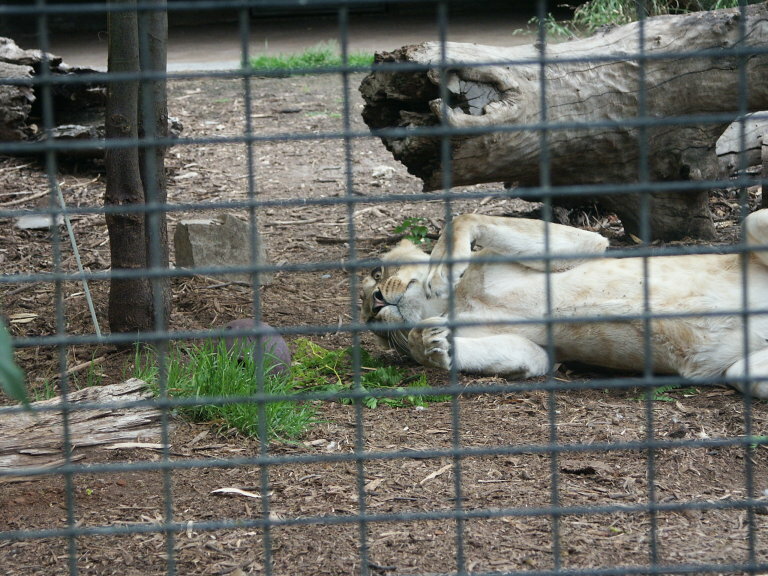 I was showing L the lion photos and he mentioned that he’d never been to the zoo. “Never been to the Adelaide Zoo?” “No, never been to any zoo. Not even as a kid.” (He had a deprived abusive childhood.) Guess where I’m taking him for christmas?